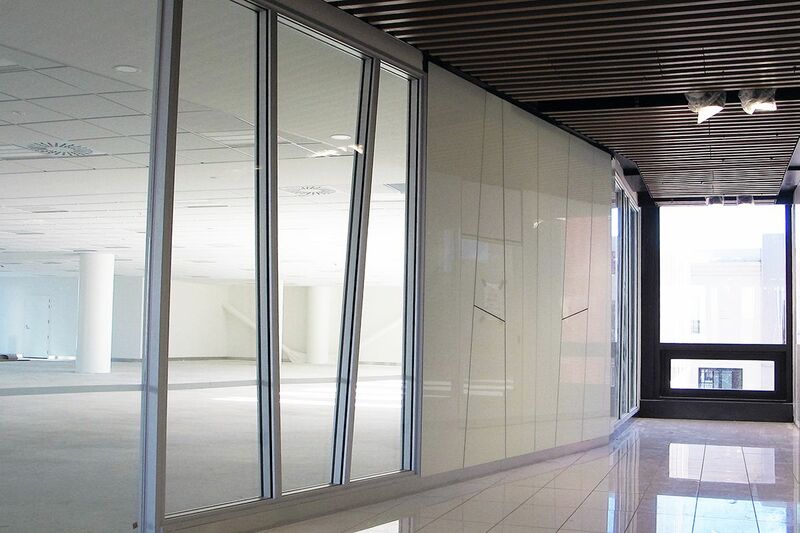 The Eclipse Aluminium Suite double glazed partitions were tested for sound transmission loss at the University of Canterbury. A number of different configurations, including VLam and anti-bandit glass were tested. The results showed that it could achieve up to 48dB worth of sound loss - To date, this is the only testing of its type done in New Zealand. Nick Sinclair from Angus Interiors was looking for aluminium suite sections that could be used to construct raking mullions for double glazing internal partitions for a marquee project in Christchurch. 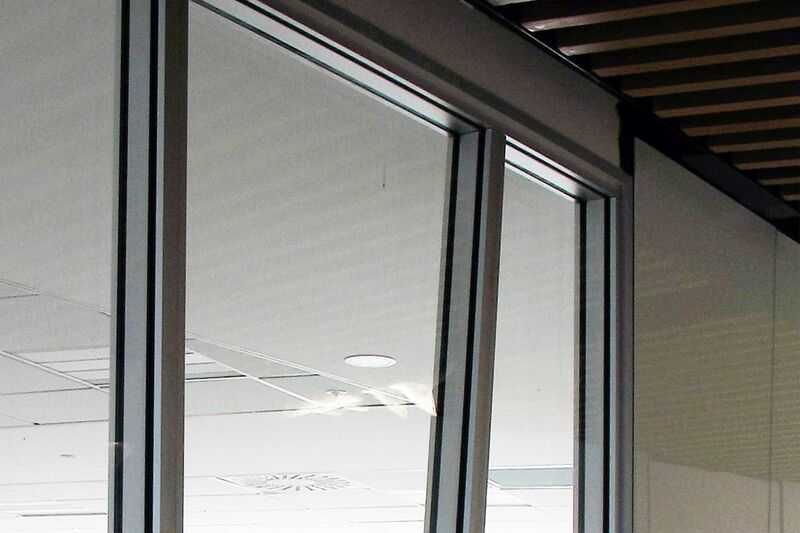 In a collaborative approach between T&R Interior Systems, Inex Metals and Angus Interiors, a new die for the framing of double glazing was developed for use with T&R's Eclipse Internal Partition System. 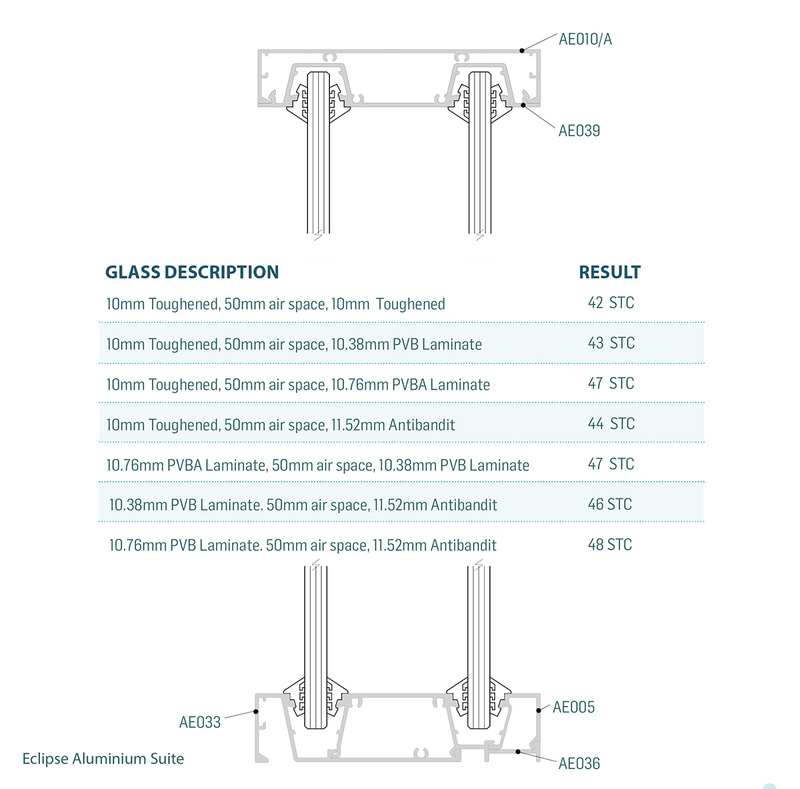 The idea was then further developed to make it easier for glaziers to install. Once the new die was cast, the aluminium double glazed partitions were tested for sound transmission loss at the University of Canterbury. A number of different configurations, including VLam and anti-bandit glass were tested. The results showed that it could achieve up to 48dB worth of sound loss - To date, this is the only testing of its type done in New Zealand. 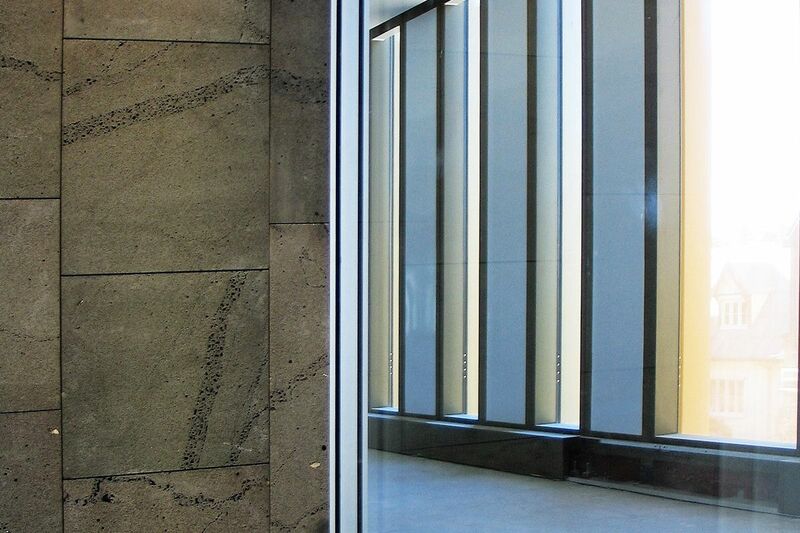 This is therefore a great glazing option for use in offices and commercial spaces where a certain level of privacy is required.